Finally! 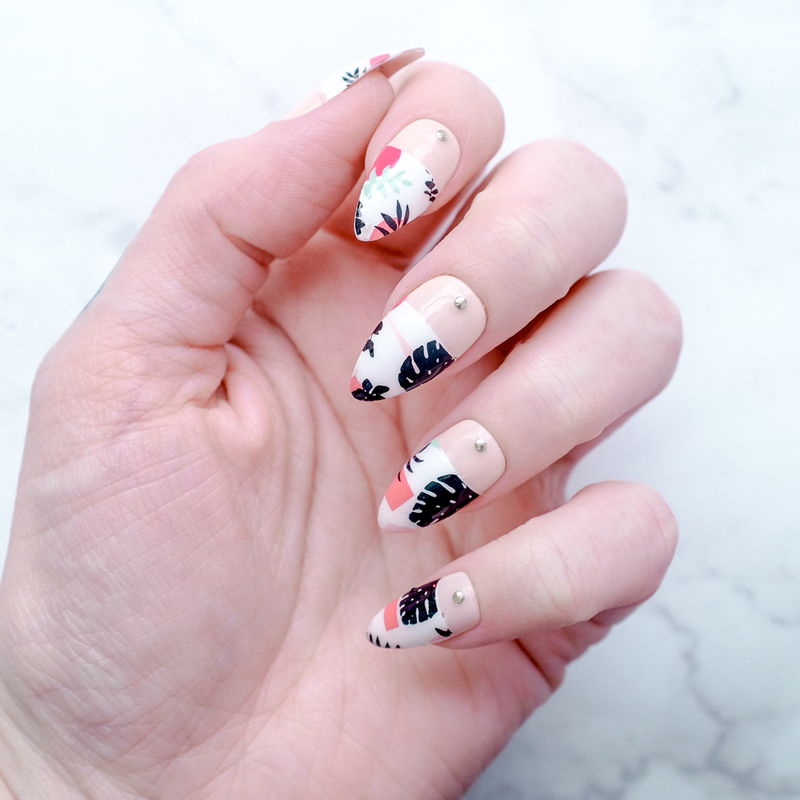 Another nail post. 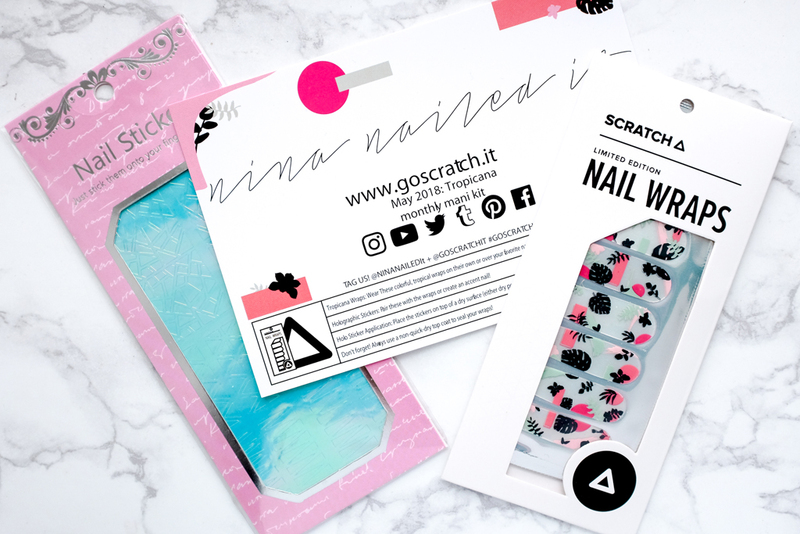 I totally skipped over the June Scratch Nails (the wraps weren't my cup of tea, but you can scoop them up here if you want! 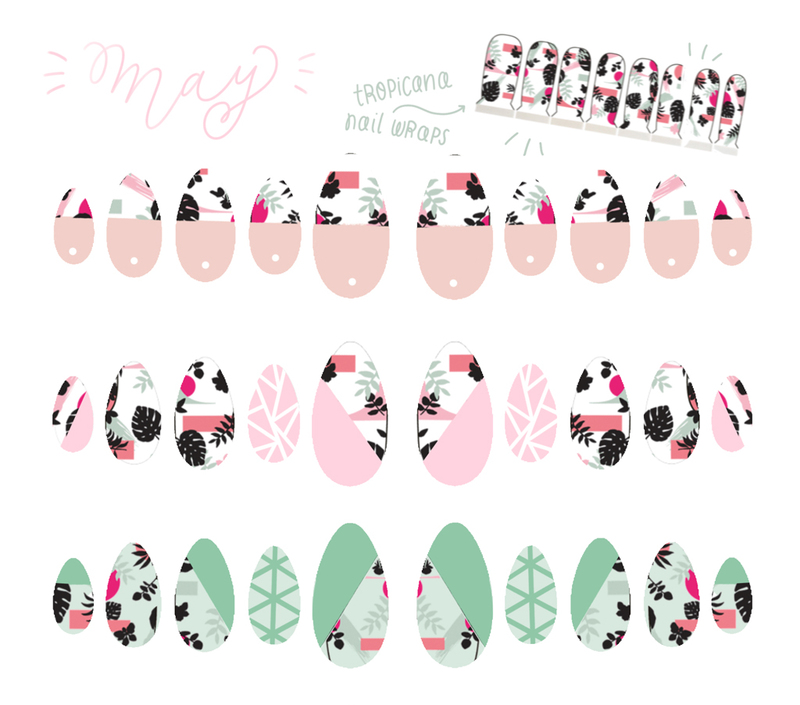 ), but the May wraps were amazing! 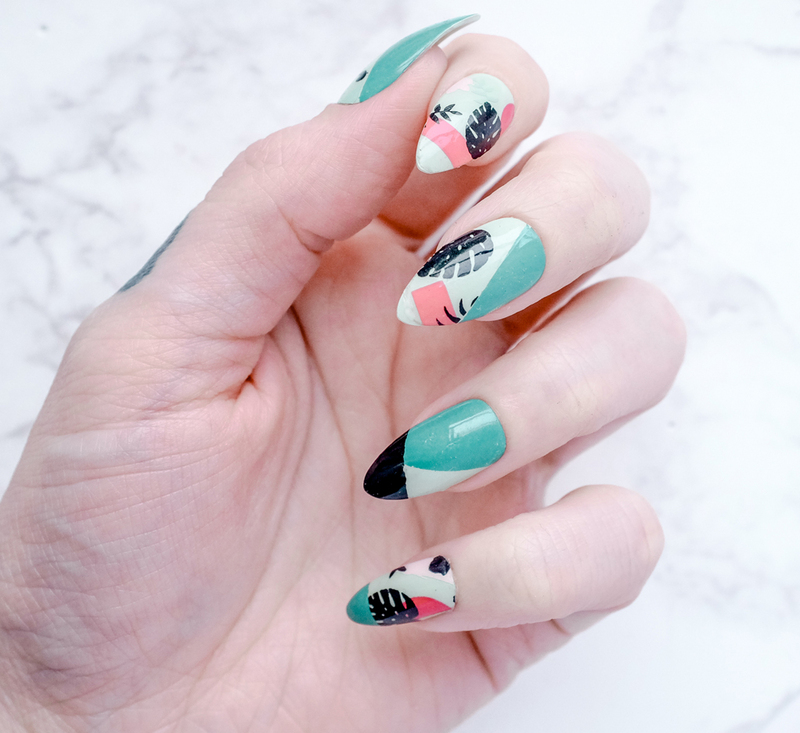 Of course, I love all things plant and palm, so these were perfect for summer manis. In May's box I got a set of the Tropicana Wraps and some fun holographic stickers. I had originally planned on using the stickers to create a mask for painting patterns, but ended up just doing big solid sections of color instead! 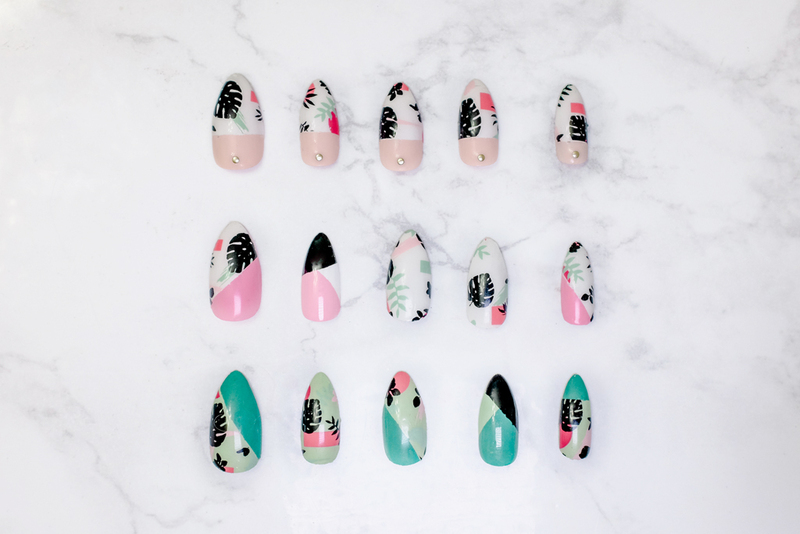 The final products were three super cute and tropical! I didn't get a photo of the second ones (d'oh!) but the first and third sets got tons of compliments last month.